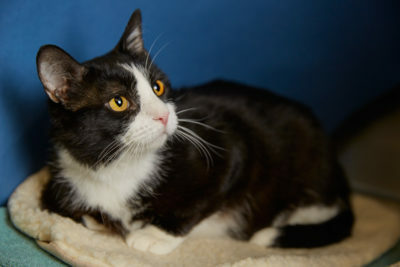 Rocky is extremely lovable and wants nothing more than to be your best friend. This kool kat LOVES belly rubs and always has something to say. Although found outside with a severe upper respiratory infection and currently has allergies, Rocky never acts like an ailing cat. He has an abundance of energy and can be easily distracted. 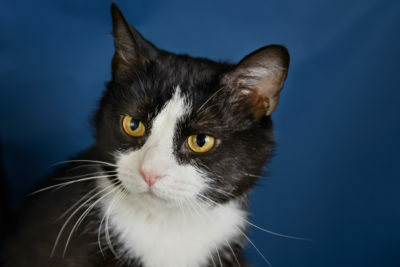 If you’re looking for a high spirited kitty, Rocky is the cat for you! 2018-02-16: Lucky Rocky was adopted today!